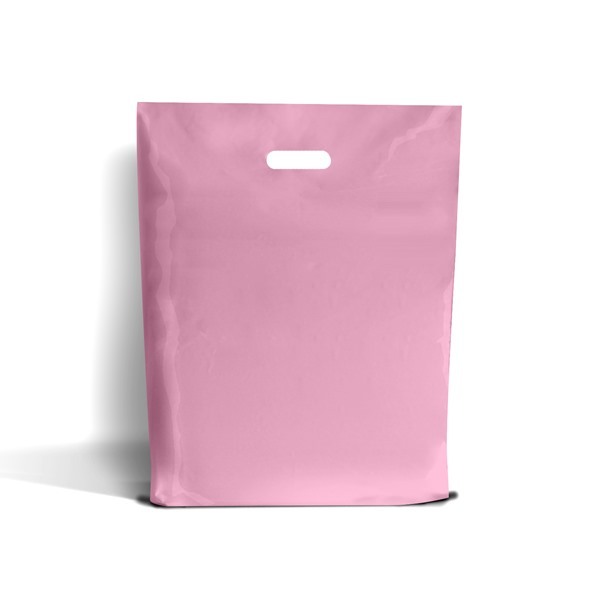 These Pink Plastic Carrier Bags are part of our Classic Range of products, and have been one of our best selling carrier bags for over 10 years! They are strong and offer outstanding value for money too. 10" x 12" + 4" - this is perfect for CD's, DVD's jewellery and smaller items. The thickness of the plastic varies from 180 - 200 gauge (45-50 microns) depending on the size which is perfect for most every day uses. 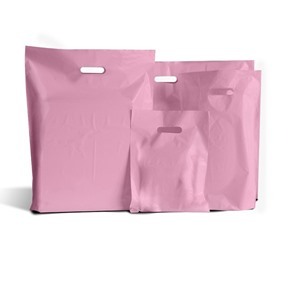 They have a neat handle that is cut out at the top of the bags which is comfortable to hold. 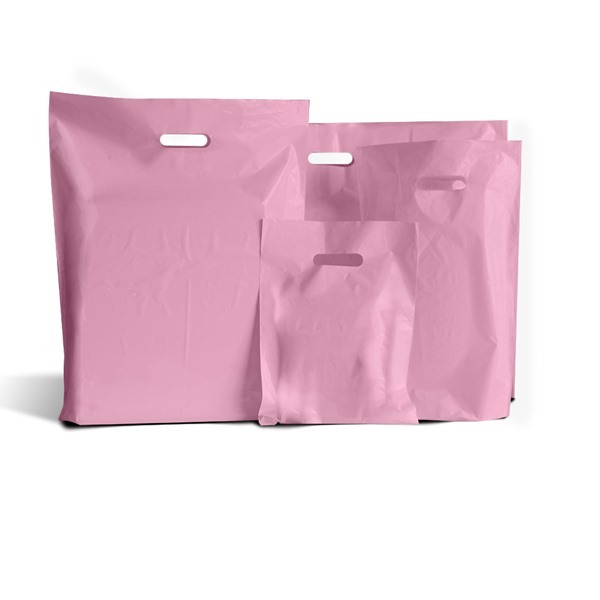 The bags has a small gusset at the bottom of the bag giving it a bit of depth for holding items inside.